The Mane Objective: #EveryDayFitness Recipe: High Protein Peanut Butter Cookie Dough Balls! 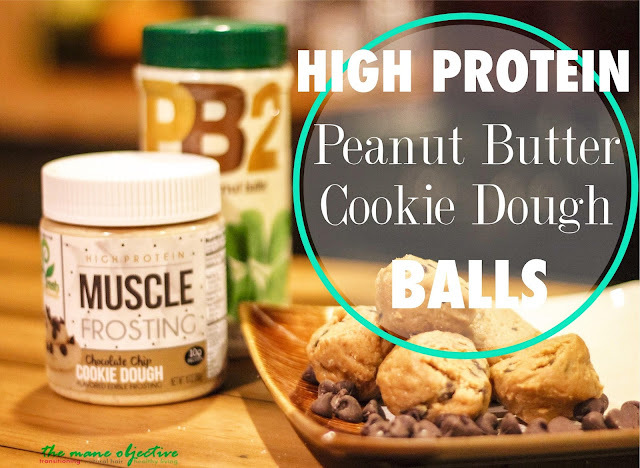 #EveryDayFitness Recipe: High Protein Peanut Butter Cookie Dough Balls! If you follow me on Instagram or Snapchat (SN: maneobjective), then you know I've been on a healthy cooking crusade. I love cooking (seriously, I cook every day if time permits), and I've taken a special interest in making meals healthier for myself and Mr. Samuel. One thing I refuse to compromise on though, is taste. Ain't no way you can convince me that riced cauliflower tastes like rice. See, here's the dirty little secret about Instagram, Pinterest, and all these food accounts and "healthy" dessert recipes you see floating online. They look amazing - dense and moist with layers of chocolatey flavor and nutty goodness. Oozing sprinkles and cream - yet packed with protein, low in sugar, and high in fiber. 80% of them are nasty. I mean, if you can convince yourself that protein powder is a 1:1 substitute for cake batter, then more power to you. But I'm here to tell you that if you love sweets, but want to pivot in a healthier direction (cause, life), you're going to be sorely disappointed. I've made mug cakes, regular cakes, waffles, cookie dough, and tried several variations of frozen desserts. My protein cake? Looked and smelled delicious, but looked, felt, and tasted like hot rubber. Waffles? No comment. Mug cake? Recipe tweaks still in progress, and coming soon. That cookie dough I made with garbanzo beans? A COMPLETE AND UTTER DISASTER. DO NOT, UNDER ANY CIRCUMSTANCES, E-V-E-R MAKE COOKIE DOUGH WITH GARBANZO BEANS. You will be angry, upset, and have strange smelling blended beans in your trash can 30 minutes later. I promise. Don't (in my Bryson Tiller voice). I know part of it is re-training my tastebuds, but cold turkey ain't my style. You know what is amazing and actually tastes good, though? These here High Protein Peanut Butter Cookie Dough Balls! I got the idea for this recipe from Sarah Lynn Fitness - I stumbled across her cookie dough bites on my Instagram explore feed. I checked out her blog post with the recipe, and make some tweaks as I saw fit (see above comments about stevia and protein powder). The nutrition breakdown is similar, but the taste is off the charts! Feel free to swap out any of the ingredients or tweak measurements. In a medium bowl, mix all dry ingredients (Coconut Flour, PB2, Sea Salt, Turbinado) thoroughly. Add in wet ingredients (Vanilla Greek Yogurt, Muscle Frosting, Unsweetened Vanilla Almond Milk) and mix. If your mixture isn't doughy enough, add more Greek Yogurt or Almond Milk until you achieve the desired consistency - moist and thick, but not runny. Spoon out dough and roll into individual balls and place into a freezer-safe container. Freeze for 15-20 minutes or until firm. Remove from the freezer and enjoy! Store in the fridge for safe keeping. Let me know if you try the recipe in the comments below! Happy healthifying! Looks delicious! I'm a foodie but mostly avoid to eat unhealthy stuff. As this is rich in protein surely going to try this. Thanks for sharing! We need to eat plenty of protein foods every single day to keep our metabolism running, our energy up and our blood sugar levels stable. Thanks for sharing this delicious peanut butter cookie balls. Your body uses protein to build and repair tissues. You also use protein to make enzymes, hormones, and other body chemicals. Protein is an important building block of bones, muscles, cartilage, skin, and blood. Peanut and butter individually are the great source of proteins and carbs which are the essential components in fitness. Their contribution to this recipe has added more value to this. Simply the combination of health and taste all togehter. 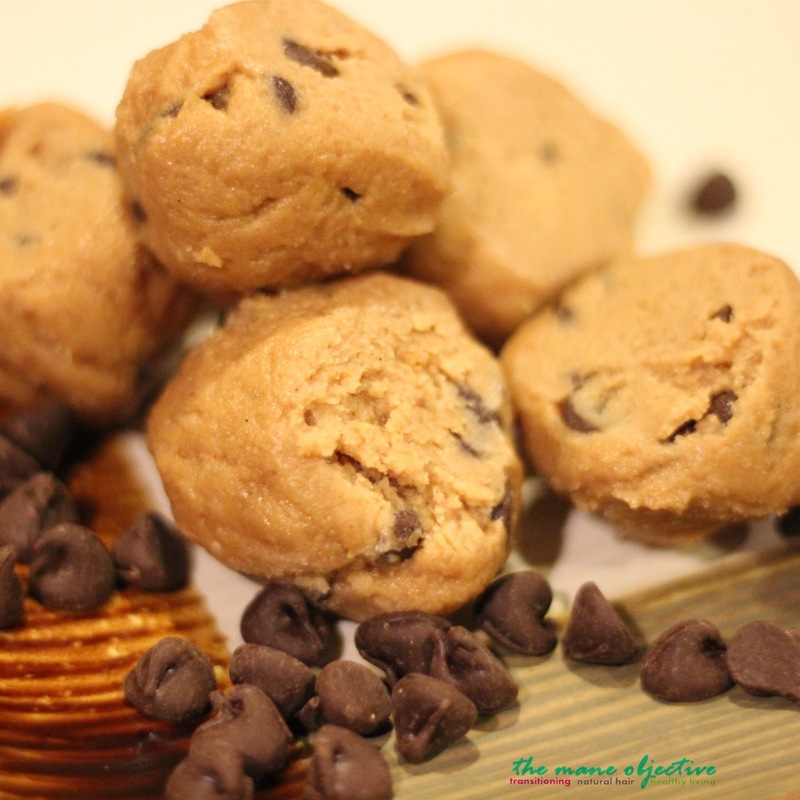 If you are a fitness freak and staying healthy is your hobby, then this peanut butter cookie dough balls are only for you as they are rich isn protien which is the great source of energy in body also it helps performing well during workouts. Some Planet Fitnesses are more liberal with the bell Buy custom Essays. I was working out with a friend once and he was trying really hard to get a good leg press in (not talking about a body builder by any means) and subconsciously let a grunt out.